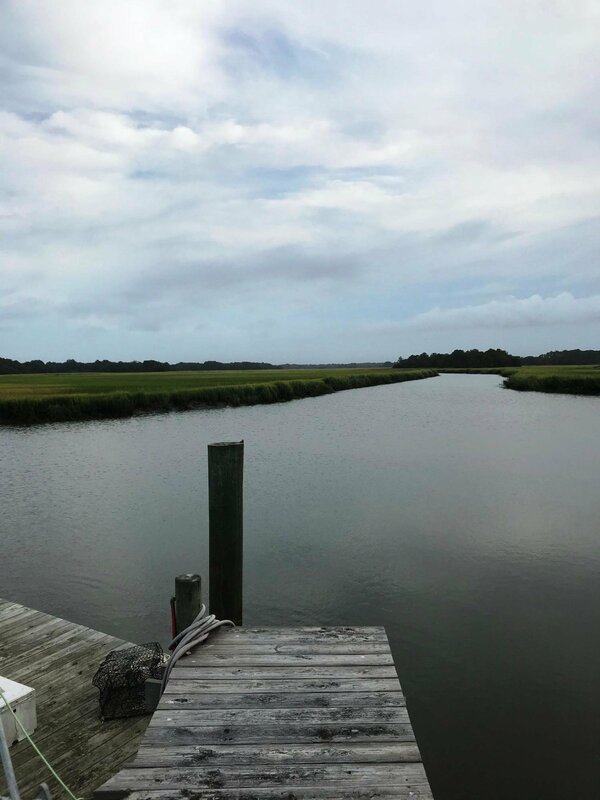 Looking for a Deep Water house on Holland Creek w a short dock in place w water & power & amazing views of the Stono River from every room in the house, here it is! 8 ft at low tide! Amazing sunsets! Sol Legare Boat Landing is .2 miles away! Approx 3 miles your sitting on Folly Beach and 2.1 nautical miles from your private dock to the ocean inlet and Kiawah Island! This 2237 sqft 3br 2.5 bath elevated stucco home home sits on over .54 acre lot with amazing views from your 8x32 front porch, 12x18 covered back porch & 12x32 large deck overlooking your 16x32 gunite Paradise Pool w 870 sqft of wrapped deck overlooking the Stono River & Holland Creek! Wood piling foundation sitting 19ft high w 3 bay gar & carport. Large master br downstaris w french doors leading to deck. Great rm has gas fireplace with vaulted ceilings and 2 sets of French doors and a single door leading out to the deck. Formal dining room. 10ft smooth ceilings downstairs (8ft upstairs). Oak floors throughout the downstairs that came from a downtown Charleston Church dating back to approx 1932. 2 bedrooms with catwalk upstairs have carpet and second full bath in between rooms. 4 walk in storage rooms behind bedroom walls. Recessed lights throughout. New roof and windows 2018! Emergency power outlet cable for a generator if needed. 100 gallon propane tank in back yard. Please make sure to drive your clients to the boat landing right around the corner. Call centralized showing to schedule appointment. Listing courtesy of Ralph Edwards & Assoc.